A group of collectors recently filed a $40 million lawsuit against the foundation of late NYC artist Keith Haring, because it has publicly labeled over 90 of his paintings owned by the dealers as fakes. The lawsuit was brought by collectors who began buying works in 2007 from two of Haring’s friends, Angelo Moreno and a graffiti artist Delta Cortez. 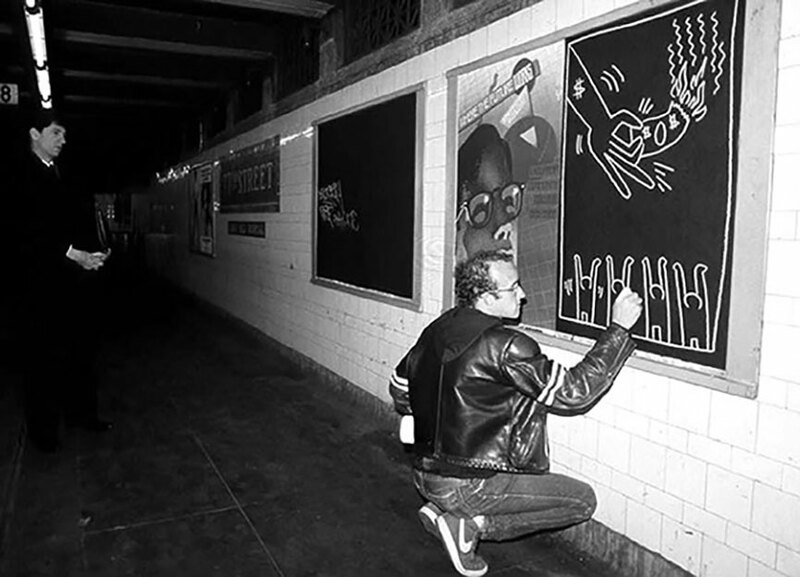 Moreno and Cortez sold dozens of works by Haring starting in the late 90s. The plaintiffs include following collectors: Elizabeth Bilinski, George Lathouras, Lisa Cubisino, Jacqueline Petruzzelli, Anthony Petruzzelli, Arthur Canario, Geraldine Biehl, Jesus Ramos, and Lucas Schoormans. In 2007, the complaint says, 41 works purported to be by Keith Haring and sold by Moreno and Cortez were submitted to the authentication board and were rejected as “Not Authentic,” though the foundation “left the door open to revisiting these opinions”. The foundation, however, refused to review additional evidence provided by the collectors that establishes the provenance of the works. In September 2012, the Haring authentication committee was dissolved, as the foundation wished to focus on its charitable work. 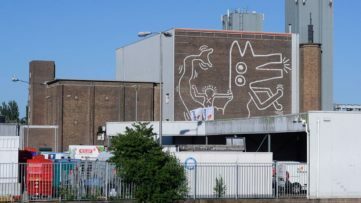 The collectors said in the lawsuit that Haring works were unsalable in major auction houses if they were not first certified by the foundation. A certificate of authenticity greatly increases the value of a piece of art. In the case of Haring, his works have reached millions of dollars at auctions, with the current record for a painting sold at $2.8 million. Nine art collectors say that the foundation was motivated to restrict the discovery of new Haring art and keep the number of authenticated works low in order to increase the value of Haring paintings already on the market and in their possession. For the record, the foundation sold some pieces between 2008 and 2011 for $4.6 million. Last spring, Moreno and Cortez’s 41 works, along with dozens of other pieces claimed to be by Haring, were included in a show in Miami, “Haring Miami: A Celebration of the Life & Art of Keith Haring”. 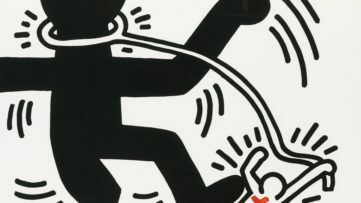 Two days later the Haring foundation sued the organizers of the show, saying it was intended to defraud the public by exhibiting 200 purported works of art by Haring that were mostly fakes. Shortly afterward, the show organizers agreed to remove the works from the exhibit and the collectors failed to sell any of the works that were supposed to reach at least $40 million. 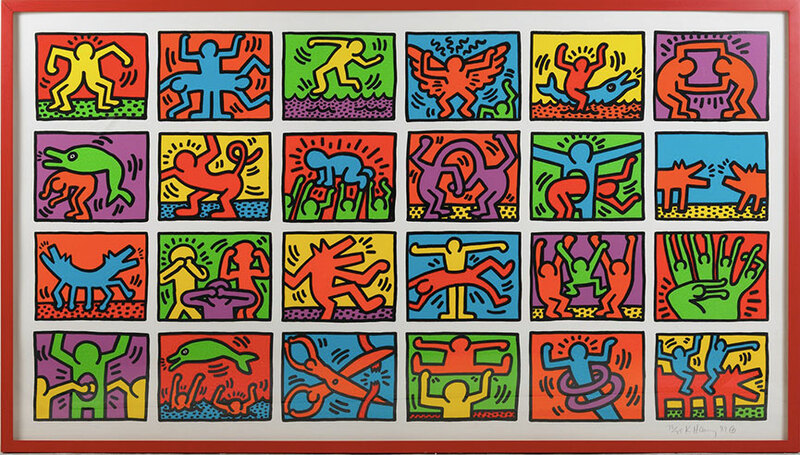 The recent $40 million lawsuit, therefore, represents the amount of damages due to publicly labeling Haring works as counterfeit.